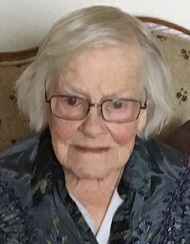 Nadine Vivlin Moore, 95, Nevada, MO passed away on Tuesday, January 29, 2019 at Moore-Few Care Center in Nevada. Nadine was born February 23, 1923 in Marionville, MO to Brutus C. “Bud” and Sarah Ann (Newport) Crites. Nadine came to Sheldon with her family and graduated from Sheldon High School in 1941. She attended Missouri State Teachers College in Springfield and following her graduation she taught at various country schools in the Sheldon area including the Wild Rose Country School. After her marriage to Harold C. Moore she lived in Nevada and taught special education at the State Hospital until her retirement. Nadine attended Fairview Community Church where she was a Sunday school teacher for a number of years. Nadine is survived by three children, Carol Townson, Tomball, TX, Sondra Klaus and her husband Bruce, Columbia, MO, Debbie Schnedler, Nevada, MO; 11 grandchildren; 16 great-grandchildren; 1 great-great-granddaughter; several nieces and nephews; two sisters-in law, Twila Moore, Nevada, and Nancy Crites, Reno, NV. She was preceded in death by one granddaughter, Ashley Schnedler; one son-in-law, Richard Schnedler; two brothers, Donald Crites, and Lloyd Crites; one sister-in-law, Dora Crites; and one brother-in-law, Gerald Moore. Funeral services will be held at 2:00 p.m. on Saturday, February 2, 2019 at Ferry Funeral Home in Nevada with Rev. Bert Travis officiating. Interment will follow in Moore Cemetery in Nevada. 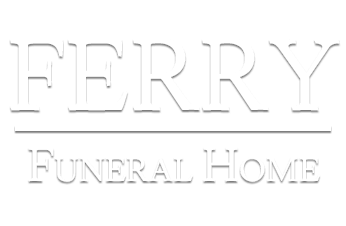 Friends may call now and until the hour of service at Ferry Funeral Home. Memorials are suggested to Bronaugh High School Scholarship Fund in c/o Ferry Funeral Home.